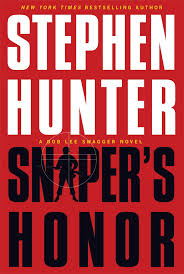 Stephen Hunter, author of the thriller series that features former Marine sniper Bob Lee Swagger, offers his take on the shooting of Michael Brown by a police officer in Ferguson, Missouri at powerlineblog.com. So much has been written about the incident at Ferguson, Missouri, that it’s remarkable none of it is of any use. So let’s try something new. My idea is to look at the shooting as a shooting, not as an avatar of social malaise, a tragedy or an inevitability. Instead, let’s determine what can be learned from the few facts known and considered incontrovertible. I am no expert but I do know a little about this stuff. 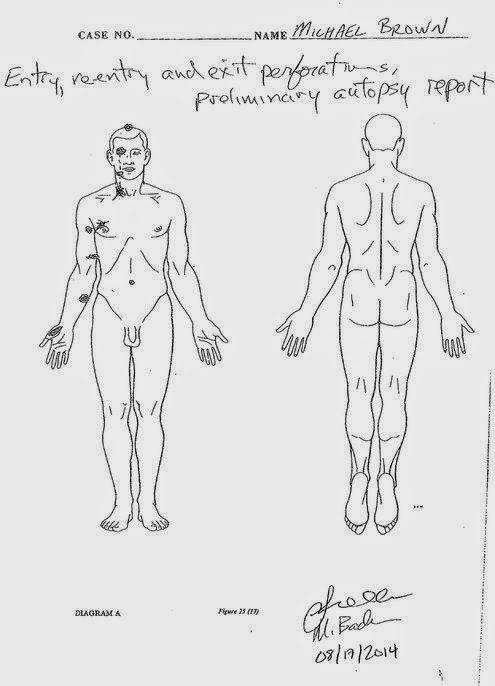 The four shots that hit Michael Brown in the right arm, according to autopsy drawing provided by Dr. Michael Baden at the insistence of Brown’s own parents, penetrated the outside, leading edge of that limb, just inside the bone. Thus it seems unlikely that those shots, assuming they came directly from in front, could have penetrated the arm at those locations while maintaining a front-to-rear angle. Try this simple test. Raise your arms. In that position, examine which surface of your arm is vulnerable to frontally incoming gunshots. Clearly, it is the inside, unless you torque your arms inward in order to make the outsides vulnerable to incoming shots, an inconceivable notion. As I see it, Brown’s arms were not up when he was shot, at least four of the six times.